We spent the day of the 100th anniversary of the 1916 rising on the streets of Dublin recording the various peoples commemorative events. This was the actual anniversary on 24th April rather than the religious nationalist and state favoured date of the Easter weekend a month back. In a lot of ways this seperation was a very good thing as the state commemorations with its parades of soldiers and sealed off areas for dignitaries behind which hated politicians laid wreaths had little positive to be said about it. 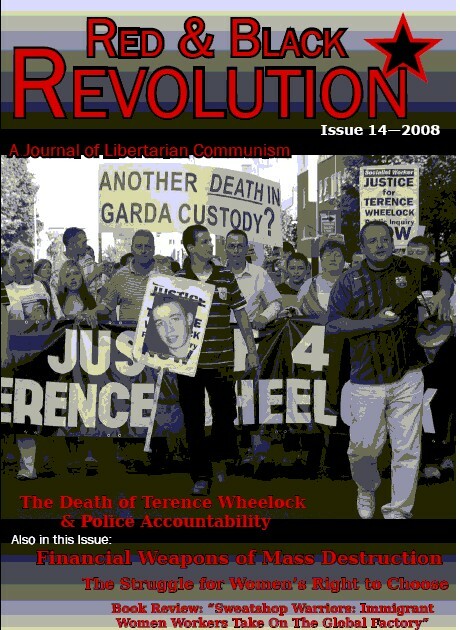 The events on Dublin on the 24th April were all organised by non government groups who in all cases would have little in common with the politicians of the previous month. Indeed while the state used the Easter weekend to engage in some awkward back patting the commemorations on the 24th tended to emphasis the failure to deliver the republic that was fought for, even if the different groups may well gave disagreed about just what that was. 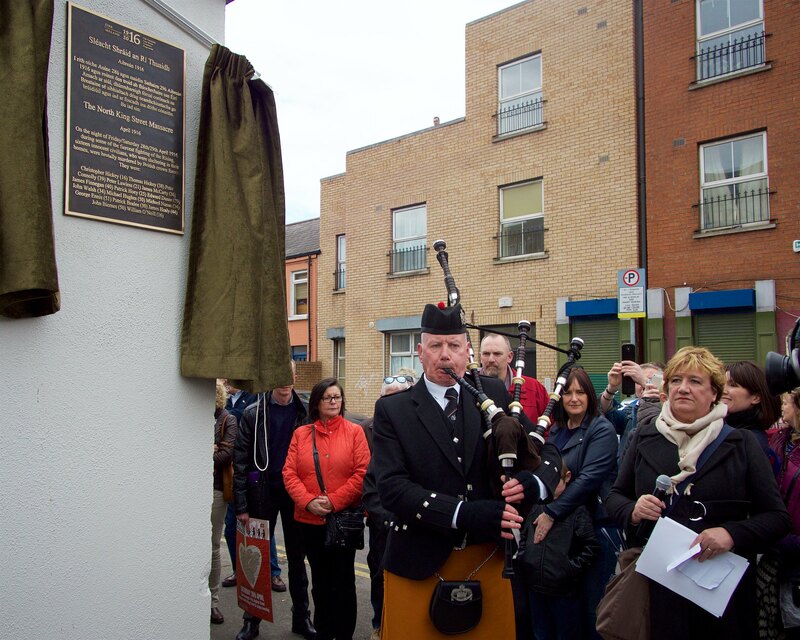 A failure that was bookended on the 24th by the racist graffiti that appeared on the Moore street historic site in the early morning and the Garda removing the Irish Traveller caravan from the Pavee Point contingent towards the back of the final march. The graffiti was quickly painted over and Pavee Point said that while “We believe that this [caravan removal] was for genuine Health & Safety reasons. However, we feel that the situation wasn’t handled as it should have been.“ But both served as reminders that we are a long way from the Proclamation’s rhetoric of ‘cherishing the children of the national equally’. We Facebooked a 200+ image 1916 photo album as part of our contribution to archiving the 100th anniversary as well as shooting and editing the videos below. This first batch of photos in the album we have labelled historical as it mostly consists of contingents and individuals who had dressed up in the uniforms of the time or were carrying historical banners. The 3rd batch are the banners of groups from outside Ireland who had travelled here for the commemoration and those of the Palestinian community in Ireland who had a sizeable turnout. The boundaries of these categories are not of course clear, the previous batch included a lot of anti-war banners some of who are carried by people who had travelled. And this one includes union banners from Britian that could have been included with the 2nd civil society batch. Batch 4 are the bands, there were a lot of these, particularly on the National Graves Assocaition march from the GPO to Glasnevin - this was by far the most traditional of the events on the days and even included a band from the sectarian Ancient Order of Hibernians. Batch 5 is Political Parties (which were mostly Sinn Fein Cumann banners) and photos of individual people on the stage or in the crowd that caught our photographers eye. One of the highlights of the 1916 commemorations in Dublin was this speech to the Citizens Commemoration by Marie Mulholland stressing not only the role of women in 1916 but the fact they had to come back again and again to struggle when the republic turned out to be not what they fought for. She then brought this forward to the modern day and the continued denial of bodily autonomy to women north and south of the border. Yhe historian Lorcan Collins talks about the composition of those who turned out for the rising, pointing out that in contrast to the way they are often presented they were far more likely to be ordinary workers than poets. It was sung at the start of the National Graves Association event outside the GPO and we’ve mixed in footage and photos of the various commemoration events of April 24th to make this video. Two lovers walked through cobblestoned streets as the Jarveys called from the Green. And they'd answer the call to Liberty Hall, and they'll rally with James Connolly. And during the Lockout of 1913 they played in the union piped band. This was the single most popular bit of live content we posted on the day with some 70,000 views. "The Foggy Dew sung outside the GPO in Dublin 100 years after the moment the 1916 rising against the British empire lit the flame of what became a global anti colonial revolt that over 50 years extinguished that empires 'pink on the map'"